All ‘bacon buttied’ up and ready to go, 8 determined RS Aero sailors launched for the appropriately named ‘Frensham Frenzy’. 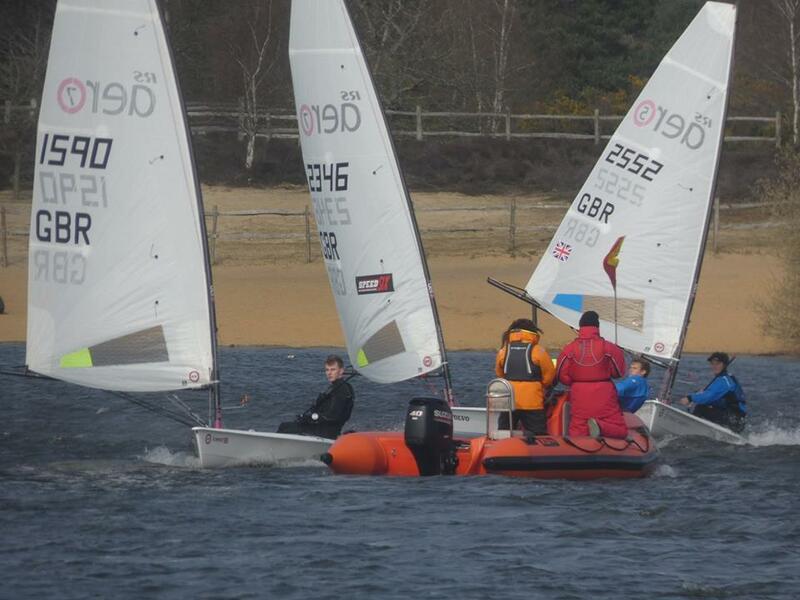 The conditions were exactly as forecast with 12kn, gusting 18kn, coming straight down the lake to the clubhouse. The racing promised 2 pursuit style races with a lunch break between. In the first race, the lonely RS Aero 5, sailed by yours truly, set off to race for 76 minutes with with a short (Ed: huge!) 5 minute head start on the flock of RS Aero7s. After bounding past all but 5 boats, I found myself in almost a perfect position, with clear air and only a few smaller boats to catch. Next the RS Aero 7s were let go, with the more... experienced... part of the fleet initially pulling away from the young guns, however before they new it Chris Hatton had pounced. Showing off his prowess in shifty conditions he jumped to the front of the pack at the first mark and managed to hold his own against Peter Barton and Ben Rolfe the entire way around the complex 7 mark course. Ben, Nigel Rolfe and Joe Gallivan were battling it out for 3rd place RS Aero, until one particular mark rounding where and almighty splash was heard. 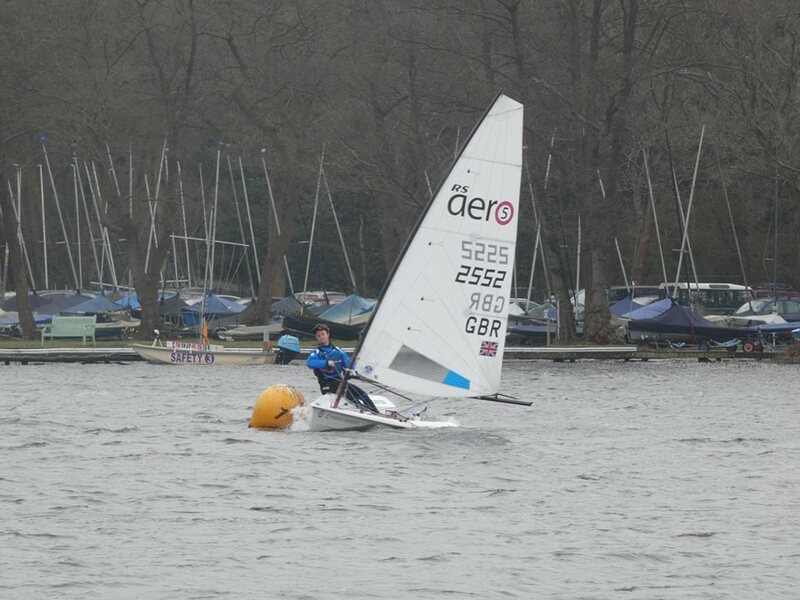 A quick glance revealed Joe swimming whilst yelling something about his main sheet coming undone... rather funny! Finally the RS Aero 9 fleet set off working their socks off. Trying to close the gap formed between themselves and the RS Aero 5 rig proved to be an impossible task. On the final whistle, after a super fast final beat and very close finish, Chris finished in 3rd and the mighty 5 rig winning overall! After a hearty lunch and a good gossip about the exciting summer events coming up all sailors were ready to get back at it. 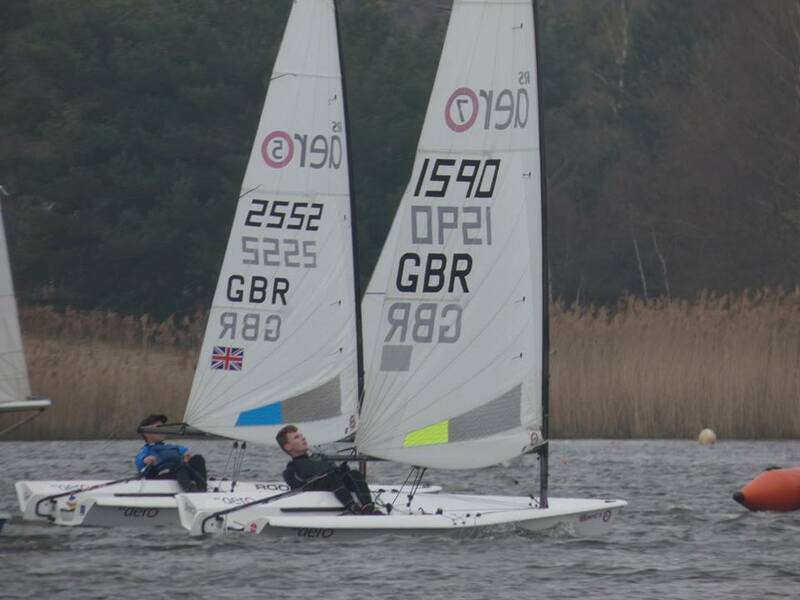 The second race all started in a similar fashion, however Peter enjoyed slightly more wind out on the Pond and found his speed back, overtaking the 5 rig with 30 mins left on the clock. Speedy!! He held on to finish in 3rd, unable to quite grind down the distant RS Feva and 4.7. In the final 10 minutes Chris and Ben had caught up Sammy too. Would the 5 rig be able to hold off the two 7 rigs for the final beat? Yes! However this was quickly demolished with 2 reaches to the finish., with Chris finishing 4th, Ben 5th and myself in 6th overall. A huge amount of fun was had by all! 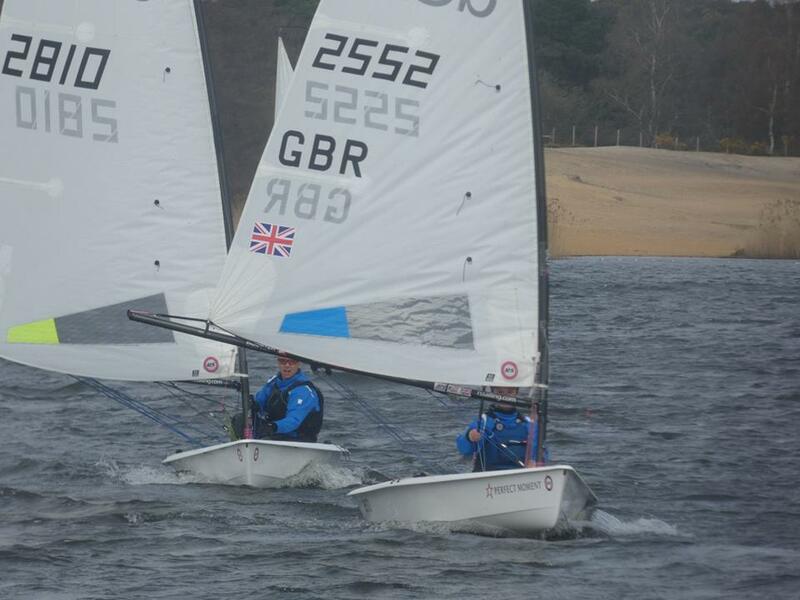 Frensham Pond SC, thanks for being awesome hosts and we look forward to returning again next year!